Welcome to Paradise. 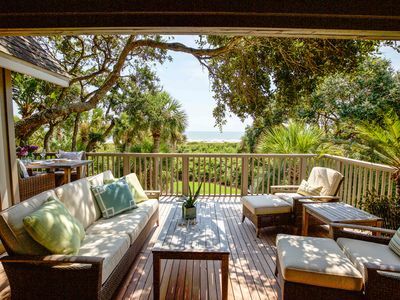 Imagine cool ocean breezes year round on the front porch while watching the world go by! 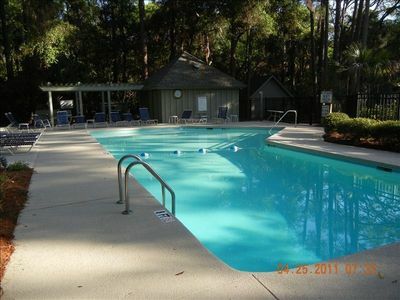 Take a dip in the private pool and enjoy the beach just a few steps away from this wonderful property. 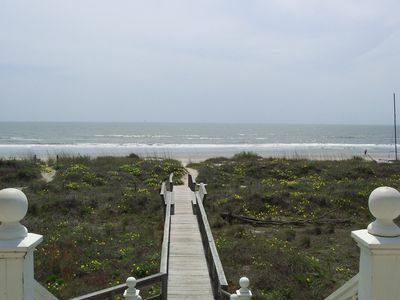 The home is one block from two beach access points and less than a minute walk to both. We have plenty of off street parking and are off the busy main road Palm Blvd. 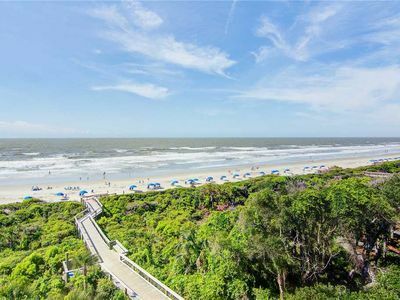 Tucked a block and half away from the ocean, this beach home offers everything you would want in the perfect vacation home. Come and make memories here at 8 34th Ave. 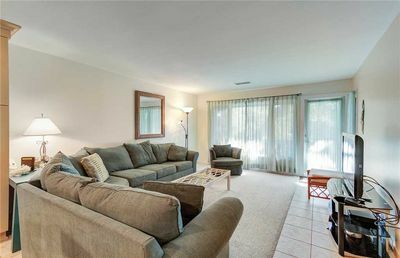 This home offers everything you would ever want and plenty of room to spread out. 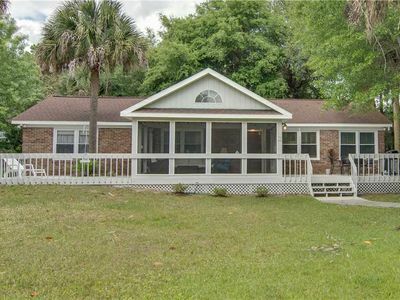 Upon walking into this well appointed home you will be greeted by an amazing landscaped yard chocked full of vibrant sweet potatoes vine, different colored vincas, beautiful hydrangeas, bright colored lantana, confederate jasmine, palmettos galore, magnificent draping oak trees and several other eye catching vegetation. 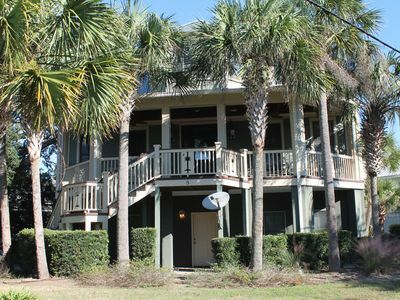 The front of the home is trimmed with palm tree cut outs. 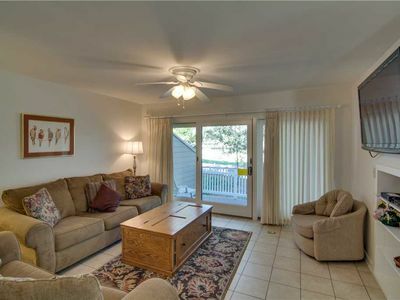 The front porch features double fans for additional breezes. Open the door to this home and be prepared to fall in love and never want to leave. No detail was spared in construction and it shows in every single square inch. 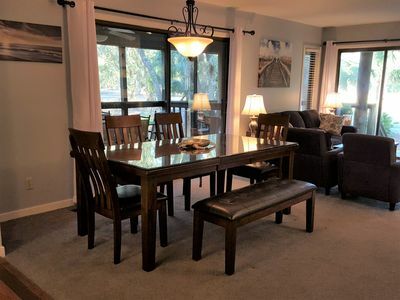 The wide open gourmet kitchen features Dacor appliances, remarkable granite counter tops, two separate sinks, on right by the 6 eyed gas stove, beautiful cabinetry, bar stools and more pots, pans, dishes, utensils that you would ever need. You will even be tempted to cook! This magnificent state of the art home features a smart home system with the electronics to prove it. The 50 inch LCD TV in the family room is equipped with surround sound. The den is beautifully decorated with furniture and built-ins. 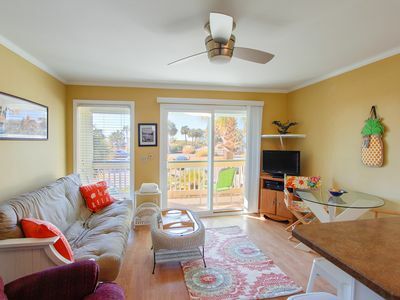 On this level we offer two bedrooms and a gorgeous powder room. The upstairs of the home features 4 separate bedrooms that are spacious and comfy! Over-packers are welcomed with more than ample closet space. Every window upstairs will take you to a peaceful place. Whether you are relaxing on the front porch of the house or swimming in the private pool out back, you are sure to be pleased and excited about your time spent here! The master bath features dual shower heads - the rain shower is awesome! The ground floor of the home will definitely be where the action will be found! Decisions, decisions, decisions... Float in the pool? Grill some lunch? Watch TV in the pool room? Sunbath? Or whip someone in a game of Texas hold em’ on the too cool for school card table? So much to do and so much fun to be had! 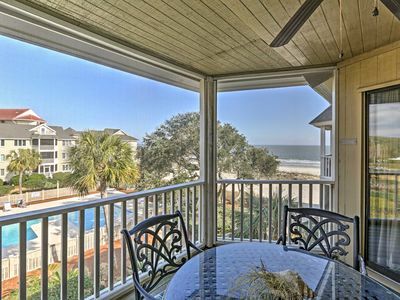 We'd love to have you at our vacation home and hope you make amazing memories. We have also recently added a custom shuffleboard table in the game room off the pool. 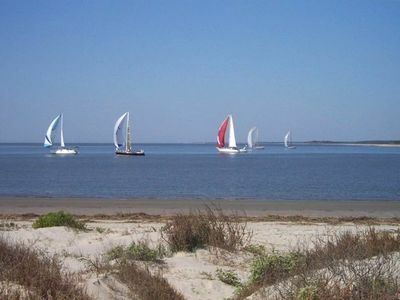 Experience The Heart of West Beach on Kiawah Island- Amazing Tennis, Bike Trails and More! Book Soon For New Lower Rates! Cute, Affordable Vacation Home! Pet Friendly! 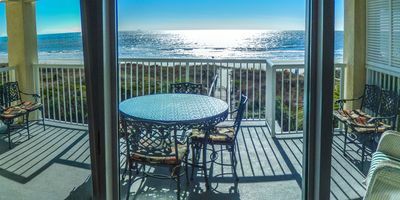 Oceanfront - Five Star Villa, Best Views, Free Amenity Access! 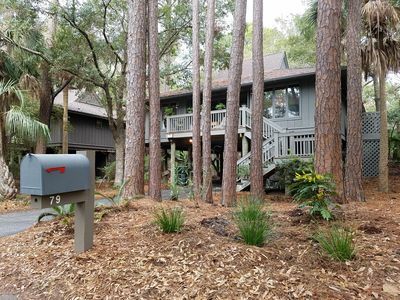 ‘Island Retreat’ Isle of Palms Condo in Wild Dunes w/Sports Card!